These Decodable Strategy Posters are the perfect companion tool to use with our Digital Decodables! Students that are learning to read often get stuck and need strategies to help them solve a word. 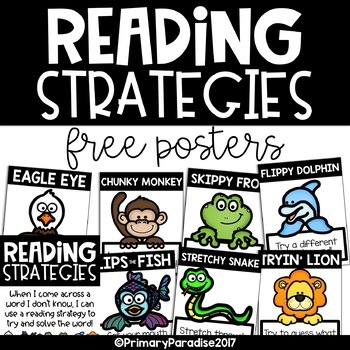 Provide them with a set of posters right in your guided reading area that they can easily refer to! If you like this free resource, please consider leaving feedback below. Your amazing feedback is what keeps me creating and sharing free resources!